Happy Thursday you guys! 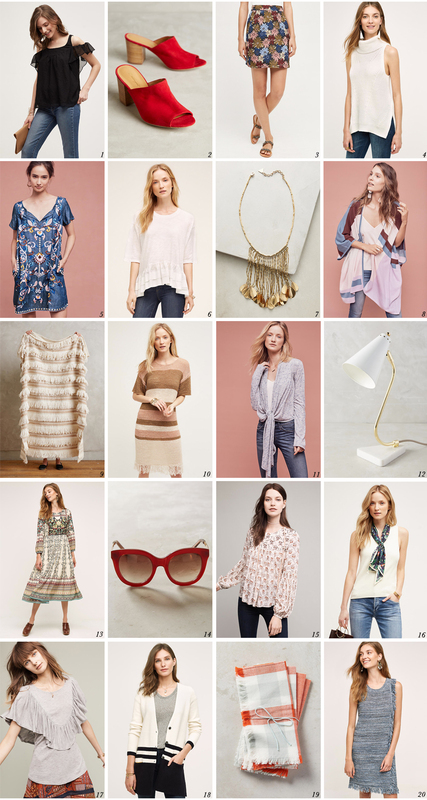 We're so close to the weekend, so I thought I'd round up some Anthropologie pieces that are on major sale right now. And remember how I styled #1? It's the perfect ruffly piece for now and into Winter. Or how I styled #6 here. These items above will get an additional 40% off at checkout (no need to enter a code), so don't delay! Things are going fast!